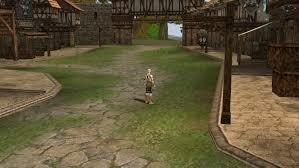 the idea of the project that I propose is to play a lineage 2 to the old school but with high rates, how is this ?, before everything clarified, what you put (optional) can take it as they can modify it, everything else I would not modify it, because it would lose the essence of what is being proposed. 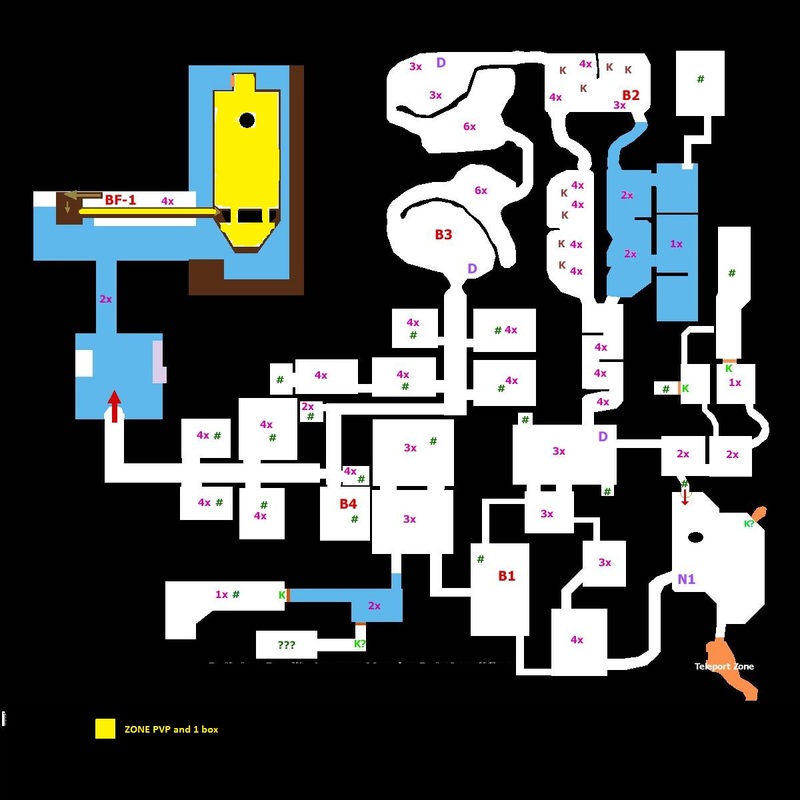 I would use the interface and textures of the "l2Classic", its visualizations of the cities, skills and its new visual and playable details, would make the server very striking and unique! 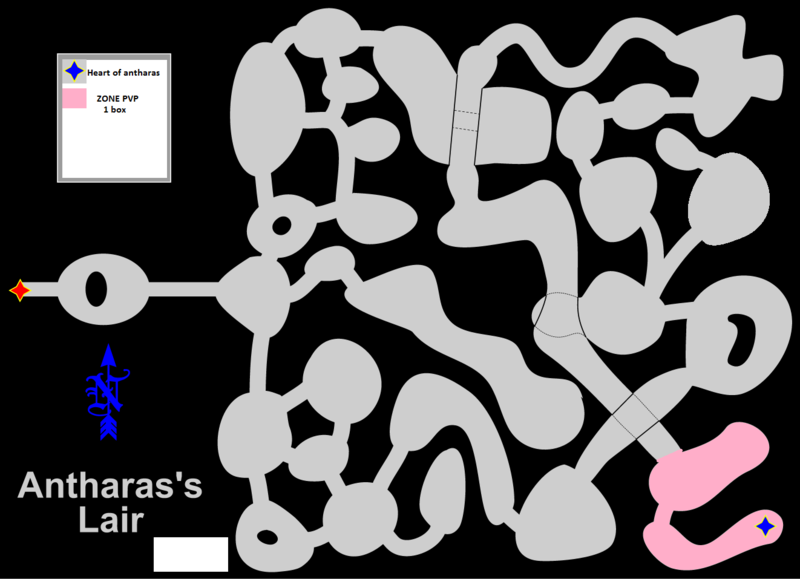 I refer to its interface of "screen damage, textures of cities , minimized skill visualization, their new way of attending and targeting the characters with their icons, their mobility with the arrow keys, and their other details such as (dancing together) etc "
if it is a lot of work or very difficult to do it (I would try it as much as I can, because that is what would make the server unique), use the "final interlude" that is not bad..
everything else would be like the chronicle is !, which is practically INTERLUDE with some new skills, which will be announced. 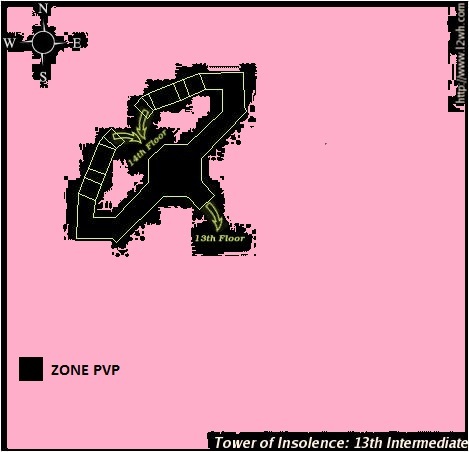 P.D: all this can be done, since I have played "PVP" servers where this mechanism was implemented. 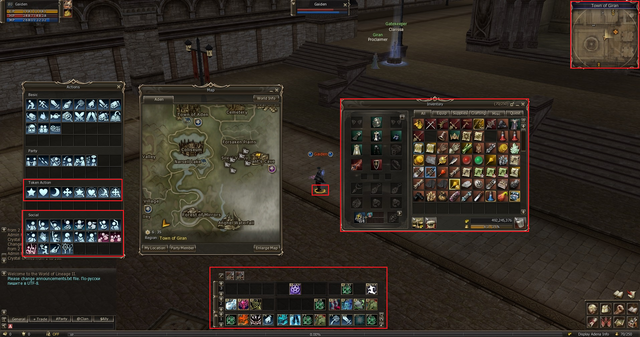 In epic zone you can use "recall"
Combination of Alt+Click allows you to remove undesirable buffs. Newbie helper, that offer magic support to every adventurer, will always provide you with interesting and useful information, as well as announcement system will always notify you of new events! 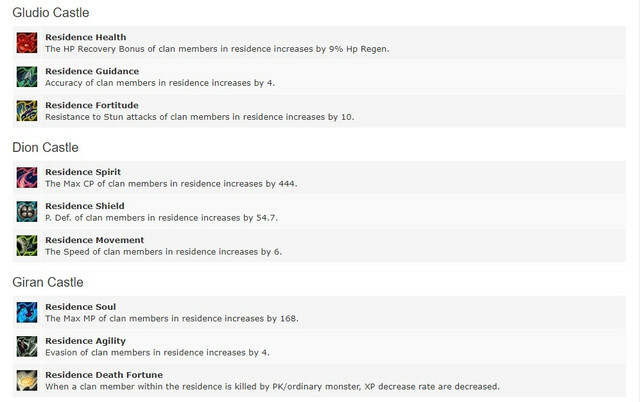 Clan Unity 1 lvl - EXP/SP bonus +7%. Life/Mana Regeneration +7%. PvE Attack/Defence +3%. 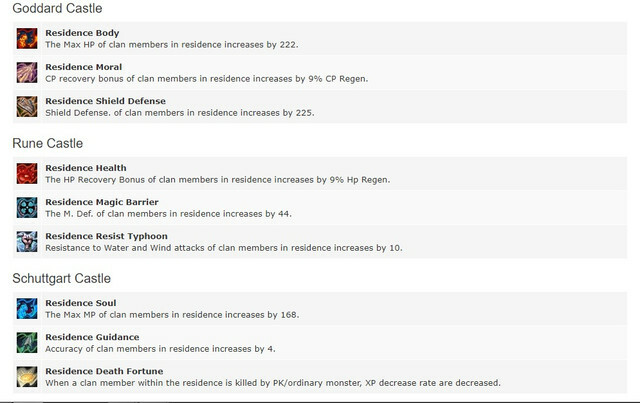 Clan Unity 2 lvl - EXP/SP bonus +10%. Life/Mana Regeneration +10%. PvE Attack/Defence +5%. 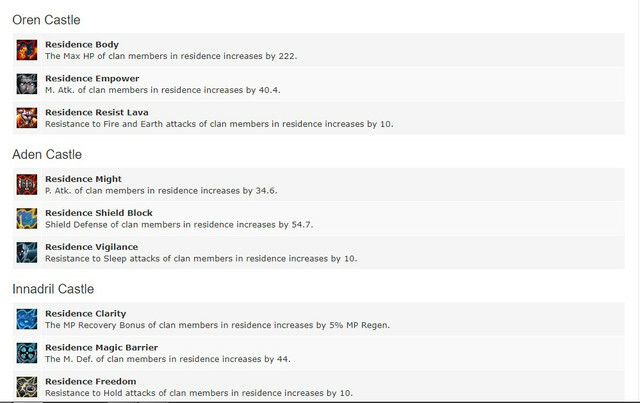 Clan Unity 3 lvl - EXP/SP bonus +15%. Life/Mana Regeneration +15%. 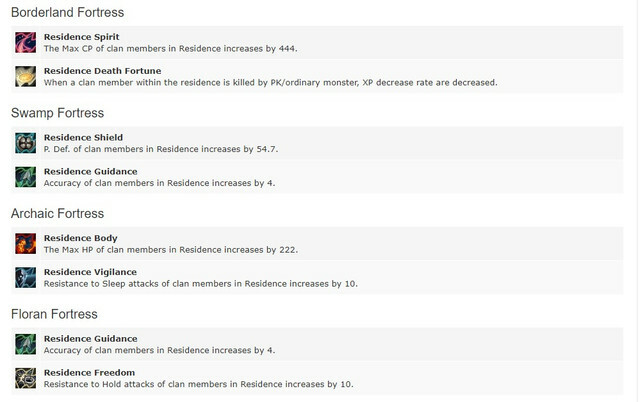 PvE Attack/Defence +7%. 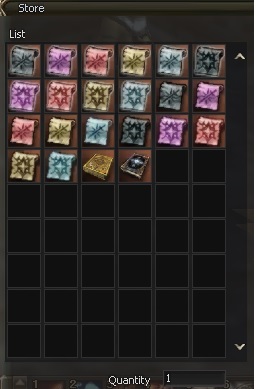 There is a chance to create rare item when crafting.вку. Imperial Crusader (Heavy) - Aumenta P.Def, Max HP, Sleep Resistance e Hold Resistance. 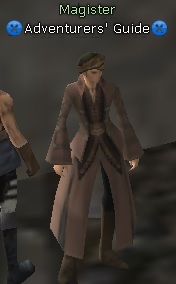 Draconic Leather (Ligth) - Aumenta Atk. Spd., P.Attack e Max MP, e Diminui o Weight Limit. Major Arcana (Robe) - Aumenta M. Atk, Speed, Stun Resistance e Weight Limit e Diminui chance de parar o attack. Tateossian Ring - Resistência contra ataques tipo Earth é aumentada. Tateossian Earring - Quantidade máxima de MP é aumentada. 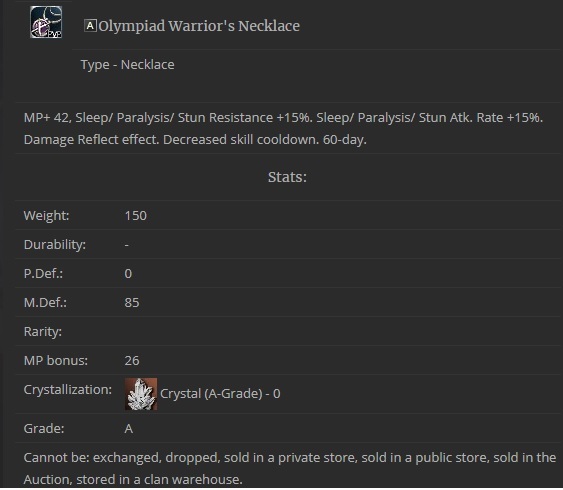 Tateossian Necklace - Resistência contra Bleed é aumentada. The owner of a fortress obtains residential skills automatically. 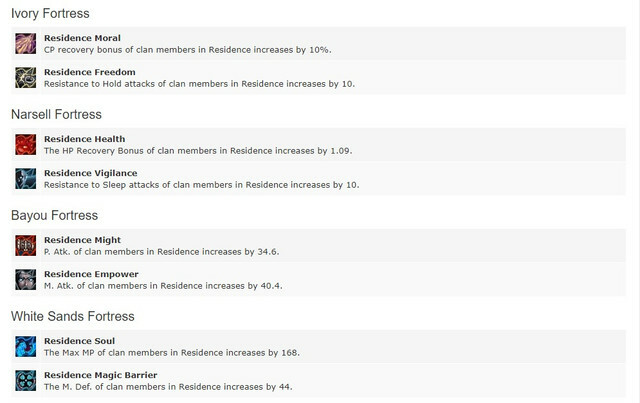 Residential skills apply to all clan units except the Clan Academy. 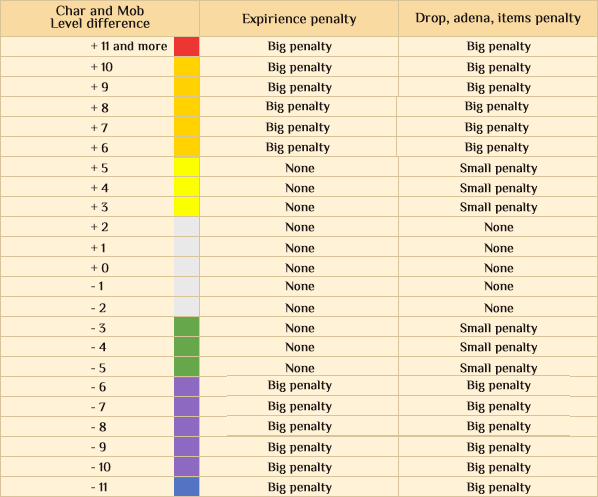 After gaining a fortress, two residential skills are acquired automatically, and by Western strength they can obtain a total of three residential skills. Subclass certifications which are needed to learn these skills can be acquired from one of the Avant-Guarde NPCs on the 2nd floor (Human floor) in Ivory Tower. In order to be able to acquire certifications you must first complete the quest More Than Meets The Eye which can be taken from Hardin at Hardin's Private Academy. Deleting a subclass to reroll a new one will not erase the subclass skills you've already learned, but you won't be able to learn additional skills from your new subclass for the levels you've already acquired certificates. 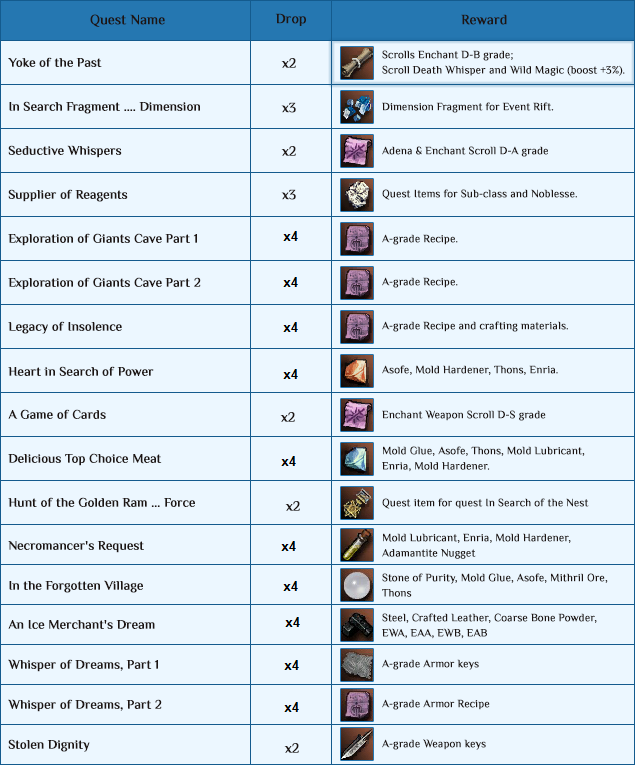 E.g., you have learned two Emergent skills from the 65 and 70 levels of your subclass respectively, then you reroll a new subclass, but you can't acquire certificates for level 65 and 70 of the new subclass unless you erase your previous subskills. 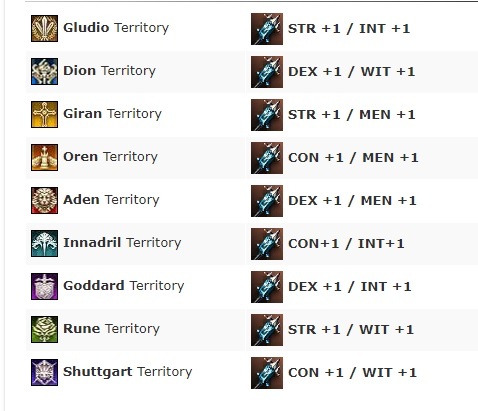 You can only remove all subskills from all subclasses on your main class. 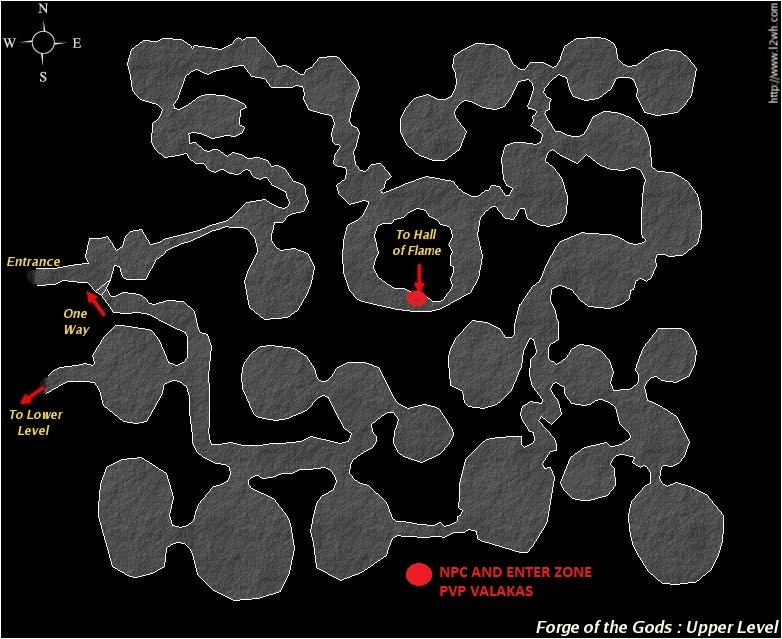 This is done by paying 10 million adena to Avant-Guarde NPC. You cannot chose which subskills to remove. Certificates in your inventory that you haven't used up yet are also deleted when you pay 10 million adena to erase your subclass skills. 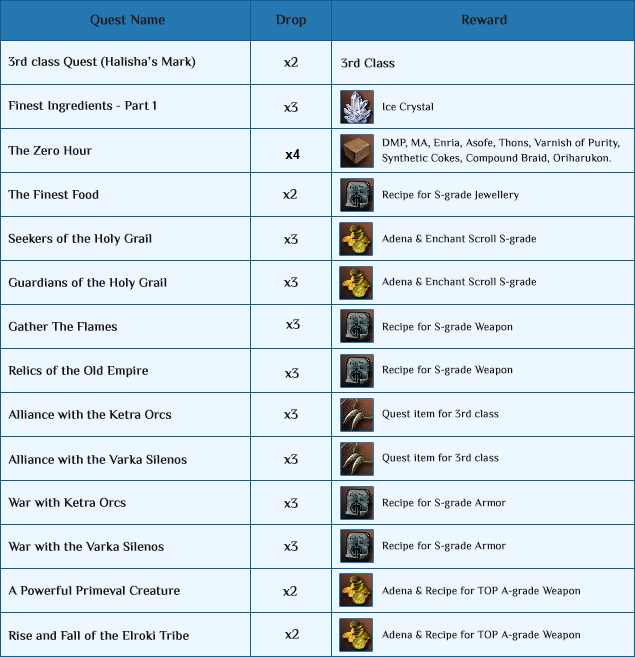 These skills can be stacked up, with maximum of level 6 if you chose to learn the same skill from both 65 and 70 certificates for each of your 3 subclasses. 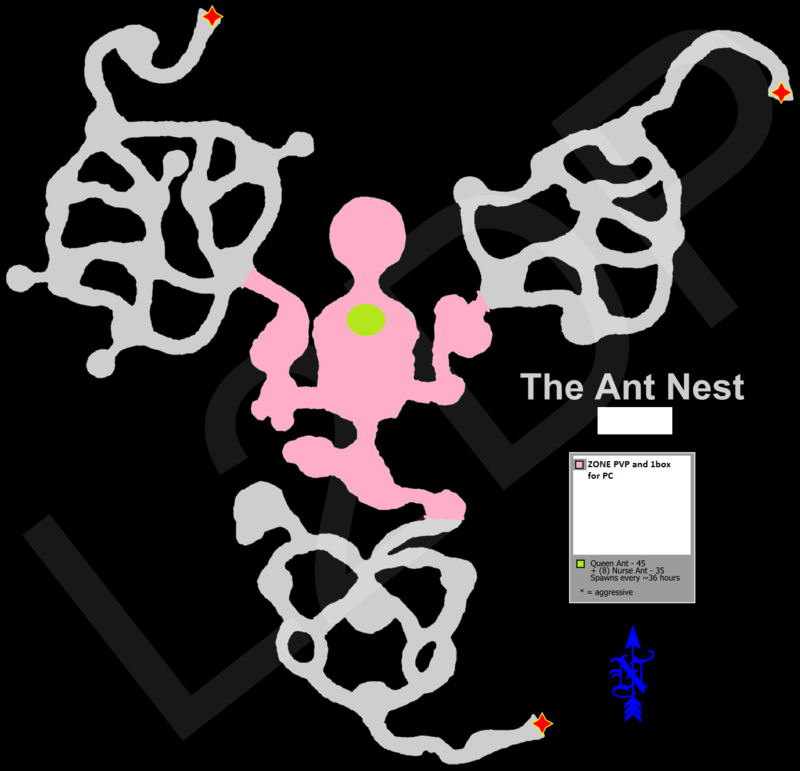 E.g., you get 6 Emergent Ability certificates from all your subs and use all of them to learn the Physical Defense skill. 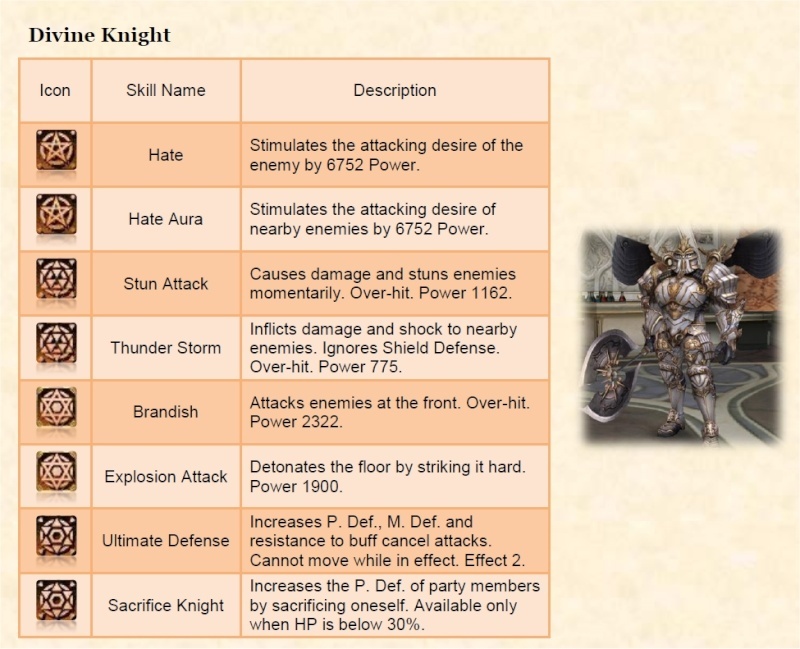 In the end you get Lv6 of the Physical Defense skill. 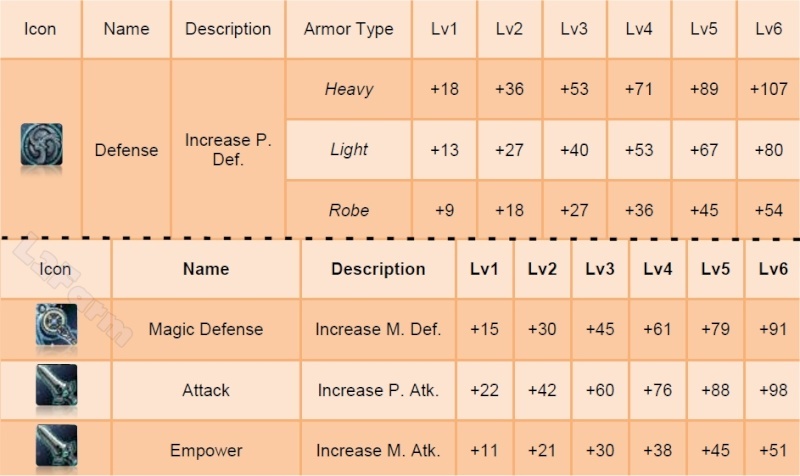 Unlike Emergent Ability skills, only Defense and Magic Defense of the Master skills can be learned/stacked up above Lv1 (up to Lv3). Divine Transformations, although more sophisticated, follow the rules for regular transformations. 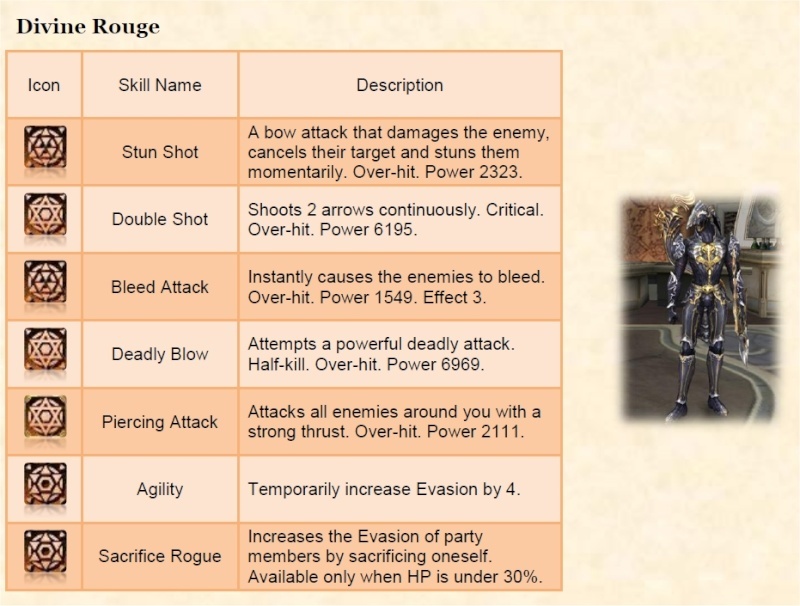 This means you cannot use your regular class skills, your subclass skills remain active, your stats are determined by your equipment and the class type of the Divine Transformation in use. Each Divine Transformation has its specific Sacrifice Skill. 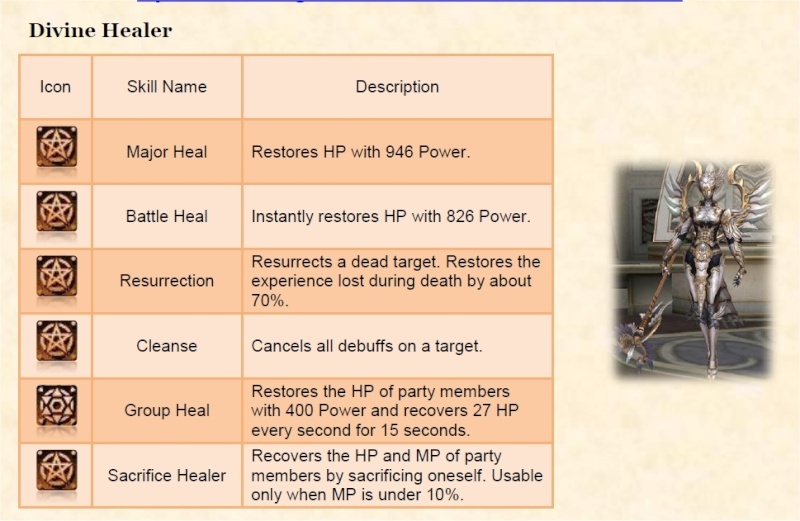 All sacrifice skills bring your HP and MP down to zero for a certain amount of time during which you can't be healed through skills or potions. 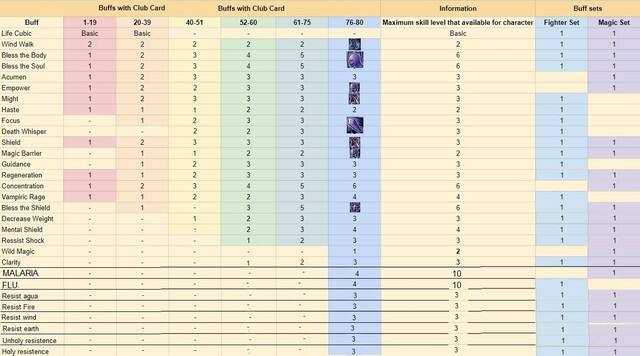 The Sacrifice Skill usage conditions depend on the type of your subclass: Fighter-type subclasses - 30% or lower HP; Mystic-type subclasses - 10% or lower MP. 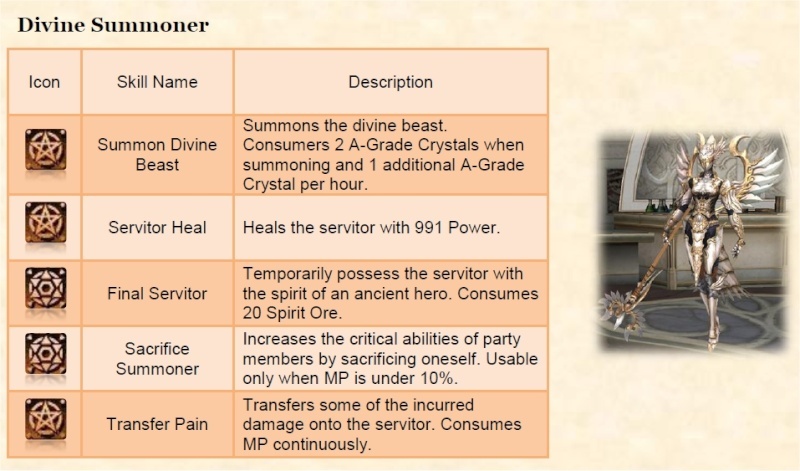 Each transformation can be learned up to level 3 if you happen to have more than one subclass of the same type. 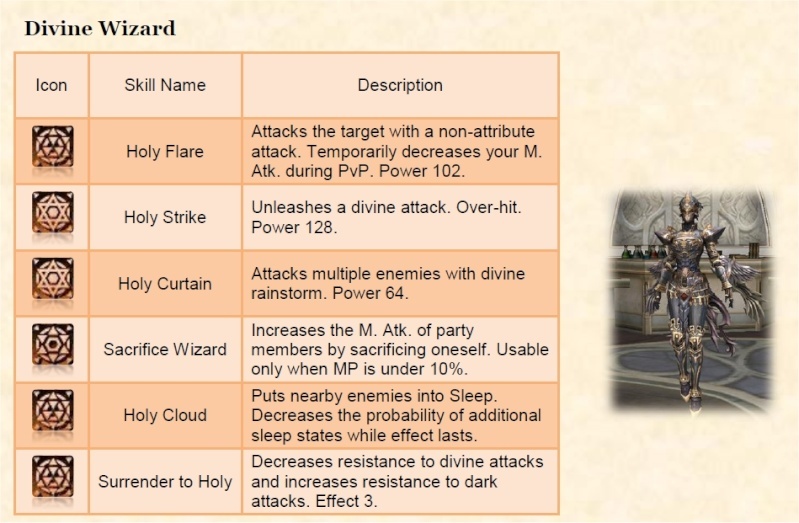 E.g., if you have 2 Warrior-type subclasses and they've reached level 80, you can learn Warrior Divine Transformation level 2. 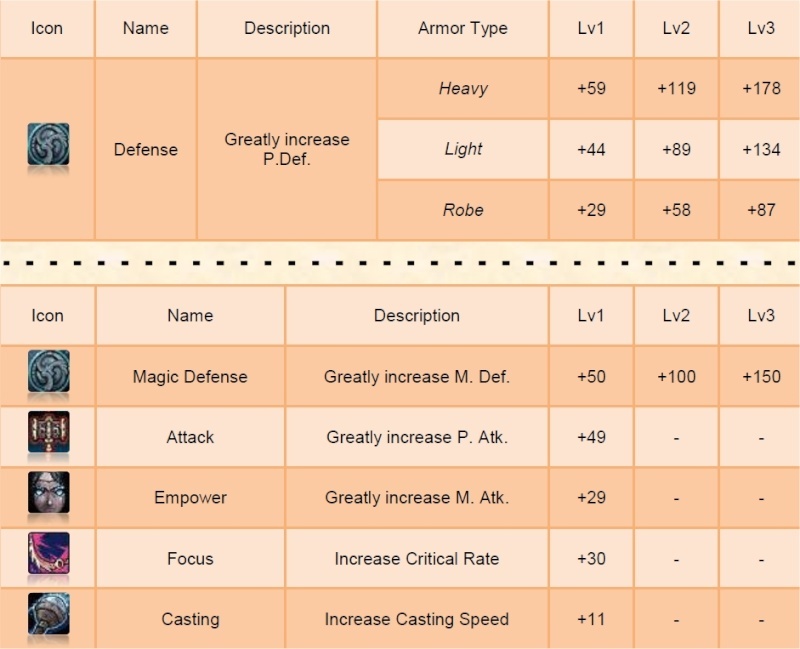 If you have 3, the transformation learned would be level 3.
the quest de noblesea, will be retail as in "GF"
I think that people who like to play retail or low rate servers, will love this, since it is not necessary to devote much time to farm, and Lv.l, to enjoy a good "l2"
Vortex skills are no longer replace each other in debuffs. 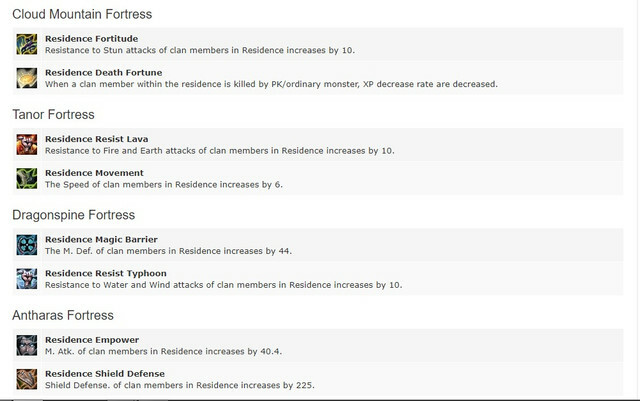 Changes in "80th level skills"
Battle Force charges that requaire the skills. 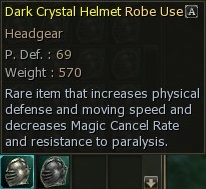 Can be triggered while character is attacking. A state in which MP consumption of skills is greatly decreased, and the probability of a vital spot jab is increased. 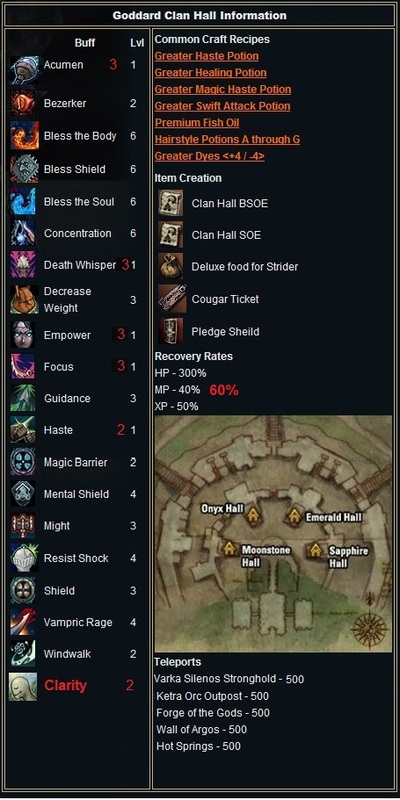 Skill will now have cooldown. Holding the target after successful use (as a debuff). Mana is not required, chance has been increased. Spell Force now are not required! Borrows fire energy to inflict fire damage on the enemy with 150 power added to magic power and decreases 60 HP every second for 15 seconds. 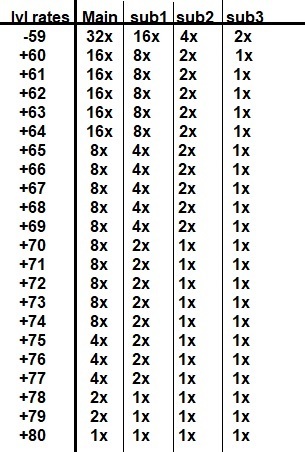 2 Spell Forces are nor required (instead of 3). Continuously inflicts powerful fire type damage. Cannot move while casting magic, and there is additional MP consumption each time the effect occurs. Consumes 1 Magic Symbol. 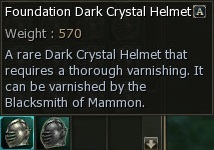 Skill will now have cooldown. Not holding the target after successful use. 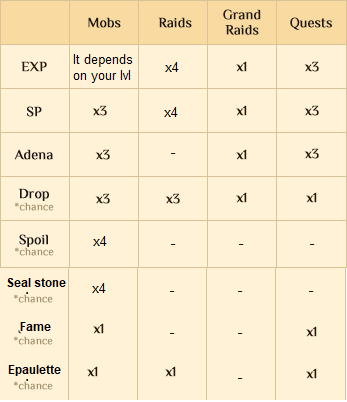 Mana is not required, chance has been increased. Spell Force now are not required! 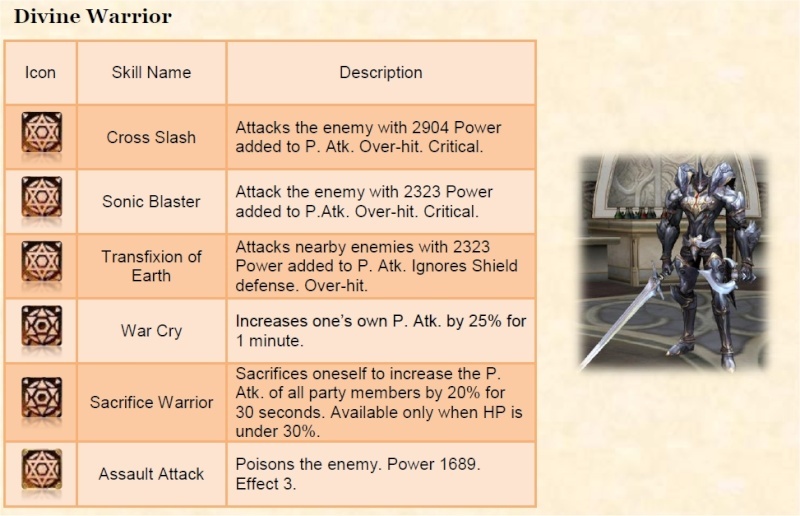 Borrows water energy to inflict water damage on the enemy with 150 power added to magic power and decreases moving speed by 50% for 30 seconds. 2 Spell Forces are nor required (instead of 3). Continuously inflicts powerful water type damage. Cannot move while casting magic, and there is additional MP consumption each time the effect occurs. Consumes 1 Magic Symbol. 2 Spell Forces are nor required (instead of 3). 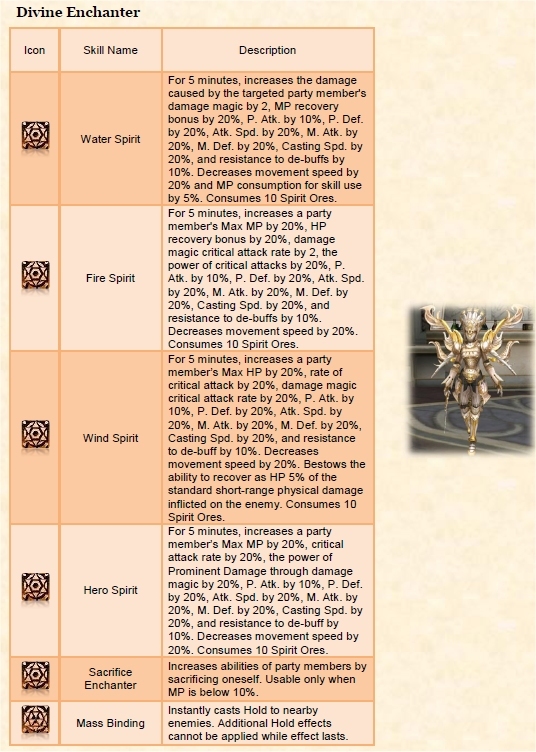 Continuously inflicts powerful wind type damage. Cannot move while casting magic, and there is additional MP consumption each time the effect occurs. Consumes 1 Magic Symbol. 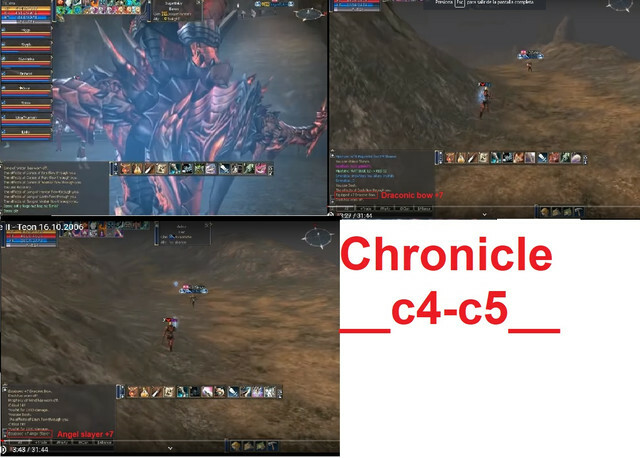 The skills (frenzy, Guts, zealot and rage) of the destroyer remain as in the cronica "HB" retail, which works just like "GF", here I will leave a video of destroyer in "Kamael-HB"
Buffs are now affect on party members, even if they are not in the same clan\ally as an Overlord. 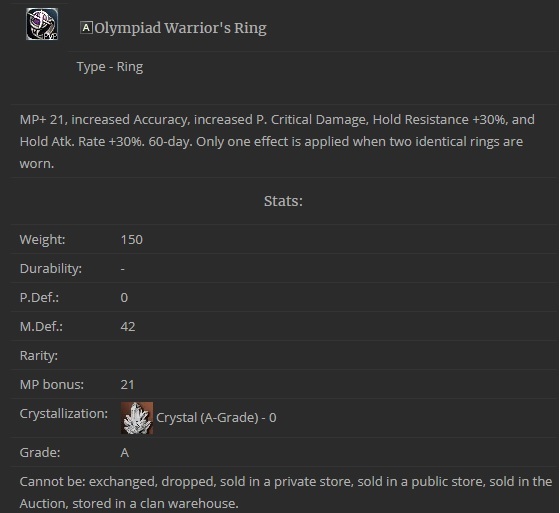 Giant's Codex - Mastery - An item required for blessed skill enchanting. 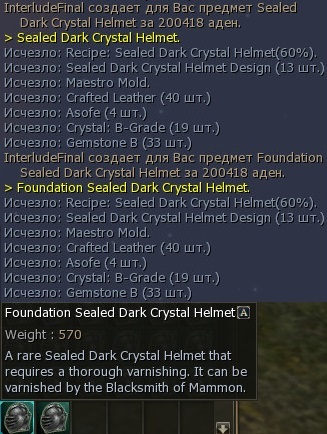 Level of your skill will not be decreased in case of fail enchant. All skills can be enchanted as in "GF"
P.D: Excuse me but I could not edit the post, I imagine by the level that I have as a user now..
apparently, like many people have not liked my proposal, I do not see any suggestion or criticism, no comments , maybe a lot do not understand English, but I'm pretty sure that those who play server low rate, would like this kind of rates and server that I have suggested, I hope you take into account these suggestions, administrators and I hope to play a server of lineage 2 with pvp retail, and not the fruit that come out now that it seems that you were playing "star war" with weapons and armor of all colors, with pots of mp and buff until no more power, and the most important thing is to have a loyal community. Just too many letters to translate for ru community too, for example im lazy af. Likewise, I see that the community does not like my suggestion very much, so I saw they open a 3x, I really do not understand them. 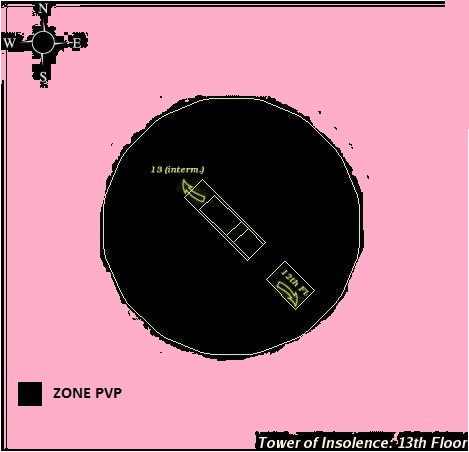 people who like to play server low, I imagine that they like to do PVP, PVE, sieges, agites, epics, in the retail way (so I like me), not like most of the horrible "PVP servers" that come out right now, that go with thousands "buff and potas de MP", which makes unbalance all the professions. 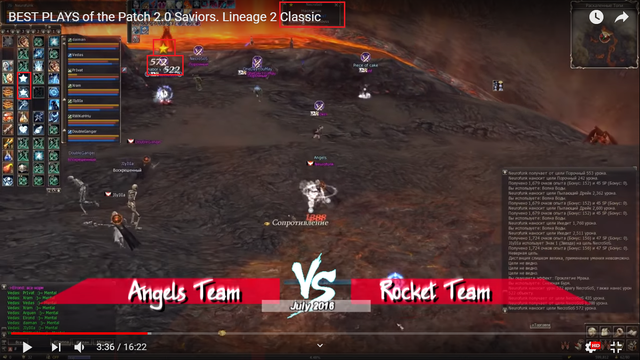 an example I play the "interlude final 7x", with a friend we raised 5 chart to lvl 78 in a month, without bot, not like most, practically play the server low to kill mobs ?. most of the people who play server low (do not take it badly), the servers last up to 2 months (this is already a problem in the community). 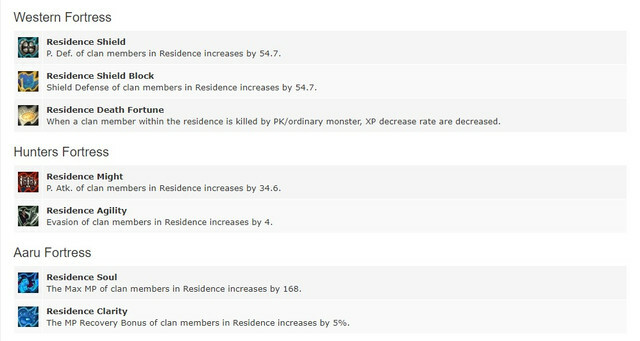 I personally can not and will not play more low servers, because I practically spend it killing mobs, instead of enjoying PVP, PVE, sieges, etc ... etc ..., for that reason I gave this suggestion of rates. 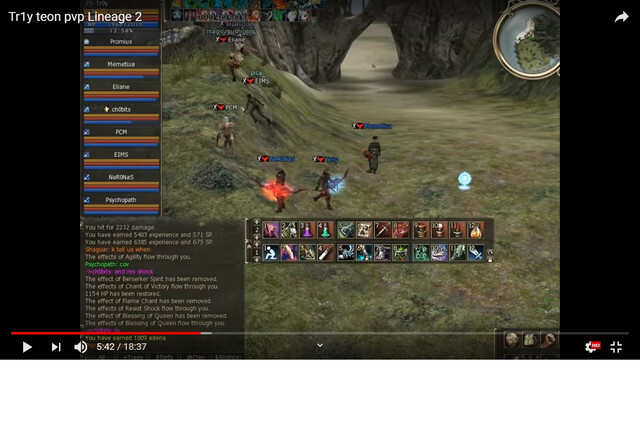 with those rates, practically playing 3-4 hours you can reach lvl 70+ quickly, and also equip and enjoy the most of what is, pvp, pve, etc ..., what you need is to find a good community that like this kind of gameplay of pvp and pve retail, so the server can last a long time, there are currently communities like the toxic or ketrawar with a loyal community, of course they are servers that I personally do not like because of their style of "pvp full buff", and everything already mentioned.